So i guess this is to get the ball rolling...Anyone else interested in this new board, supposedly available at the end of this month, or am I the only one? How long after sufficient interest is shown do the engineers and manufacturing take to put out hardware? I was ready to go with the MB-ASC3F for the Crosshair III but then the IV was announced. I was quite disappointed with the CHIII, it was a step backwards from the CHII since it dropped the 3rd PCI-E x16 slot. This one brought it back plus one. Yep, I'd be interested in one. With a Couple of Radeon HD 58xx Cards. I would definately be interested in this too. Especially with the current nb sb heatsink problem on the formula! I would also like to see a ASUS Crosshair IV waterblock. Especially since ASUS failed on the NB cooling. Come on guys, what do you mean if the interest is there!?!?!?!? Seriously, get this out on the market before EK or the others!!! I have two 5970 water blocks from you guys and really would like to stick with Koolance on this one. Please get this thing engineered/developed/QA'd and on the shelves soon!!! Its no secret that the heatsink on this board is all show and no performance as well as the fact that ASUS dropped the ball and hosed the stand-offs, all things aside there are OC'ing competitions coming up this winter and we need to get this product on board so that we can begin our benchmark testing now. I would definitely be interested. 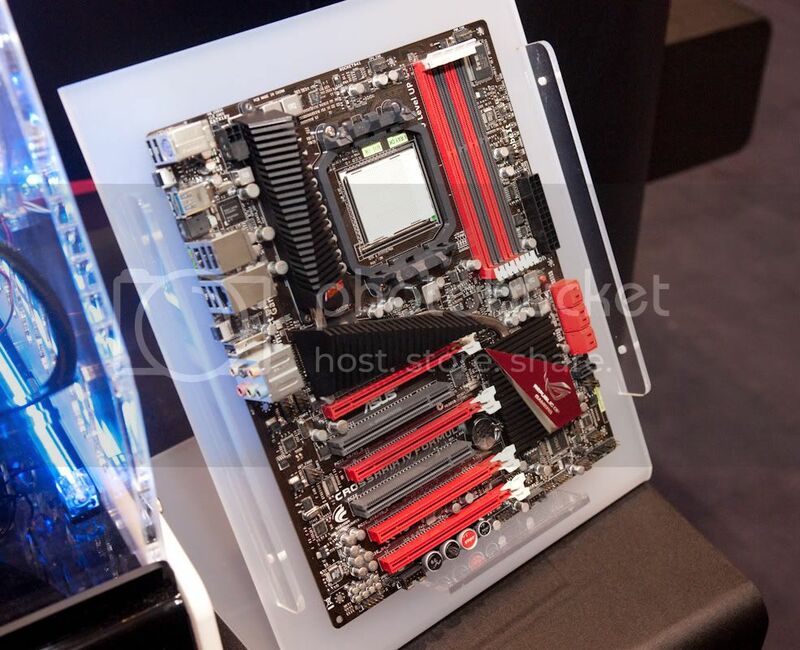 My next setup I would like to have a waterblock for the Asus Crosshair IV Formula and/or Extreme. For all of you guys who want this water block made, the admins have posted a poll with the crosshair IV formula and extreme being voted on! Go cast your votes so we can get these products made!